I am a huge fan of herbal teas and infusions and i literally own a bucket sized tub full of tea bags, if you are skeptical there will be a slightly smug photo below. Most people tend to avoid herbal teas out of confusion or because they are spoiled for choice! 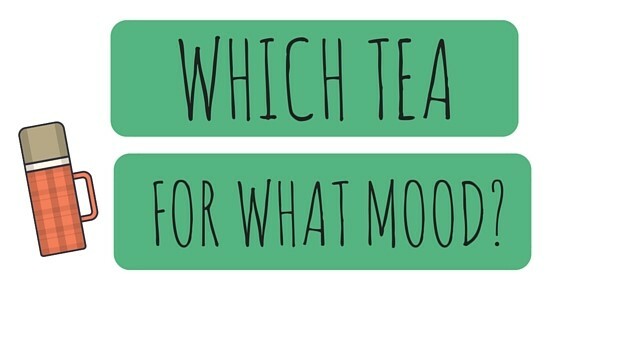 I however, have whistled it down in to 5 categories of moods and all the herbal teas you can enjoy. I do always try and avoid teas with caffeine and anything that looks like it might need sugar as it just for me, kind of defeats the point! The amazing thing about herbal tea is that it can have a million benefits and is all natural so you’re doing your body a at least a little bit of good…Now, let’s get on to the teas! If you’re feeling blue or like you need a little lift any fruity herbal tea will do the job and lift your spirits. I like to drink some raspberry and cranberry tea or strawberry tea if i’m a little bit down in the dumps. Most herbal teas will make you feel more at ease and less stressed but, i always opt for my favorite flavor and something sweet as it just helps to lift my mood once I begin to sip. When looking for a herbal tea to help you sleep always make sure it contains no caffeine or boosters otherwise well, it has the opposite effect. I like to sip a cup of chamomile or peppermint tea a few hours before bed (if your bladder isn’t tiny like mine feel free to sip it right before bed! ), any soothing tea will help you to calm down and zone out. On a morning i love a cup of lemon tea or lemon and ginger tea. The lemon wakes you up instantly and the ginger is soothing but, sharp enough to make you get to grips with the day ahead! Lemon is also amazing to drink on a morning, it has a ton of health benefits and tastes amazing too. If you hate the sound of either of them, green tea is great on a morning. It is caffeine free but, can wake you up efficiently just like a caffeinated drink can. Sipping a cup of hot tea with your dinner is a lot better than a cold glass of water, it helps your food digest properly. After dinner i always have a cup of peppermint tea because it is proven to help aid digestion so, if you do hate feeling bloated or full just sip on some peppermint tea. It’s also great for any time of the day after food if you can’t brush your teeth or chew on some gum! I sip herbal tea all day long and when it gets to around 2pm and i am serious need of a nap (but can’t because well…work is pretty important) I like to make myself a cup of ‘rooibos’ tea. This tea isn’t amazingly well known, in fact I don’t think i have seen it in many supermarkets but, it is seriously good for you. Just like all of the others it’s caffeine free but it has mood boosters and amazing little properties that just make you feel great again. I hope you enjoyed this post on ‘Which Herbal Tea For What Mood?’ if you did please let me know in the comments below and let me know your favorite herbal tea! Soap And Glory Sunkissed Tint Body Lotion Review! Lovely post.as i’m a tea lover i somedays can drink 3 cups,and my favourite is always peppermint tea,also verbena is so amazing for relaxing.